Good morning to all you fabulous readers of Take Heart! I'm Heather and I write a blog called Dreaming Big. Today I'm excited and honored to be sharing a little bit about myself and my story. As I write, my almost-9-month-old son Cohen is napping, and my almost-28-year-old husband is playing xbox in his "man cave". Yes, my husband is kind of a big kid with a man cave full of Lego, a big screen t.v. and what I've affectionately nicknamed, the devil box. And while one sleeps and the other "pones noobs" (some of you wives know what I'm talking about! ), I write. I began writing my first book in eighth grade, the night after my four best friends from church called and read me a list of all the reasons they hated me. It was the biggest rejection I'd experienced and left with a choice; either feel sorry for myself, or use this opportunity to get to know Jesus and allow Him to be my best friend. Each an everyday I sat on the floor beside my bed, reading my bible and writing in my prayer journal. I went through dozens of devotional books and found the Word came alive in a way it never had before. And as the Lord spoke to me, I knew I had to share with others what He was revealing. So I began to write. As the awkward Jr. High years passed and I gained new confidence in who God created me to be, this passion only grew. Instead of being a reject, I became known as someone who was strong in their faith. People came to me for advice on matters of faith and with their prayer requests. I never did finish that first book, but nearly fifteen years later, God began to lead me to write another one. I’ll be honest, I hesitated. But after months of trying to ignore the signs He was sending my way, I relented and decided to obey. This is when the idea for Dream Big was born. In the summer of 2010, I began writing the book and one year later, just days before Cohen was born, I completed the first draft of my manuscript. Eight months after that, and two years from when I first said “yes” to God, a proof copy of my book came in the mail. What an amazing journey it has been! Dream Big is my heart on paper. It's a book about not settling for comfort or security over the big dream that God has for our lives. It's a book to help define what our specific purpose on this earth is. 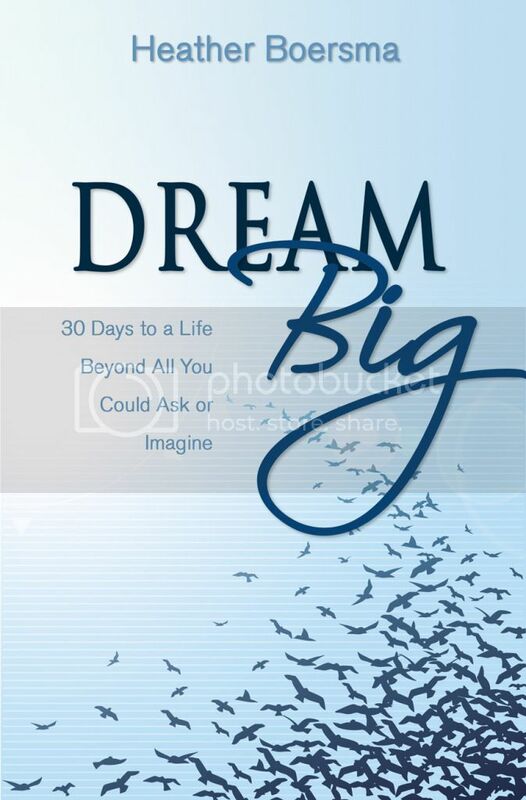 It's a book full of practical steps to help you live your BIG DREAMS! To hear more of my heart on this, take a moment and watch this book trailer video. Today I'm excited to give one lucky reader a paperback copy of this book! And for the rest of you, I'm offering a 20% discount (until March 18th) on the ebook version, regularily $9.99 for only $7.99! Use coupon code TAKEHEART at check out. You can read more about the book or buy it at my Store. We can also connect through facebook, twitter, pinterest or bloglovin'. Thanks again for reading and I look forward to getting to know many of you! What a beautiful idea for a book! 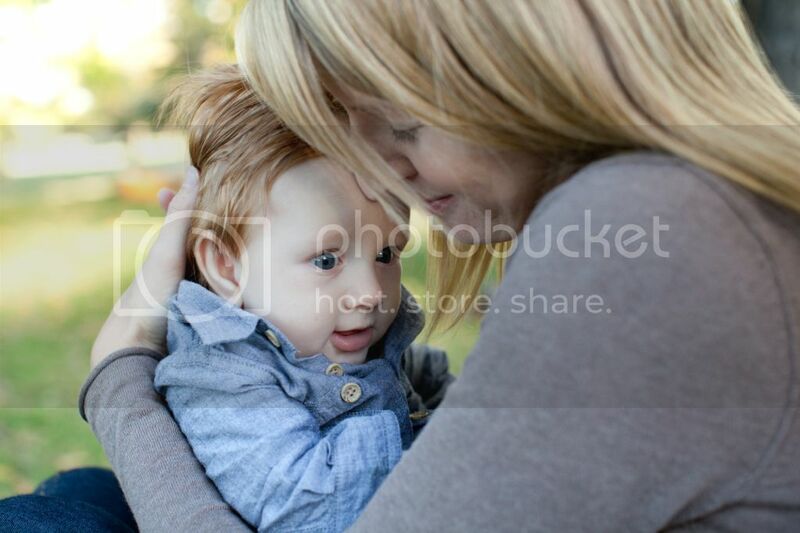 So happy for Heather. This book sounds amazing.!!! Holy guacamole, I won! I am so pumped! I have never won a giveaway AND I am excited to start reading! Thanks so much for the opportunity! This speaks right to my heart! What a great book. This book sounds like it would be a very inspiring read...and God knows I need inspiration! Wow. I'd LOVE to read this book! What a great book. Sounds like something I would definitely love to read! Sounds like a great book! Thanks for the chance to win a copy! Geez, I love this lady!!!!!! Aw, thanks friend. Love you too. Wow- I loved what I just read. Would love to read your book! Man, I lover her heart and can't wait to get my read on with this one. Whether I win it or buy it, this is a MUST HAVE! one of the best giveaways in a while, I will say. So awesome to have a chance at winning something that can help us grow in our faith. Love it! Thanks Natalie! What kind words. I really appreciate that. Oh I would love to read your book! Your heart is beautiful and shines in your words, inspiring me to seek God more deeply. And that is a wonderful thing!